The Italian restaurant quest goes on. Tonight we went to La Brezza at the St Regis in Singapore. 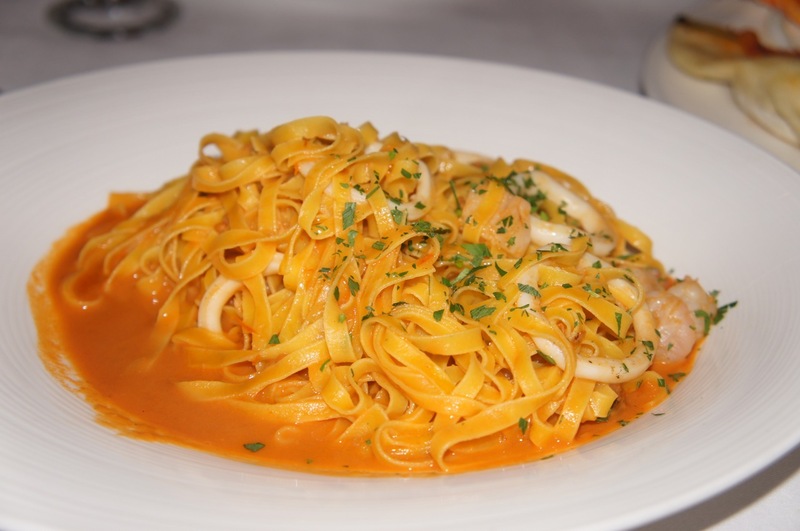 La Brezza came highly recommended by the Tatler Best Restaurant Guide. And for a limited time you can get Starwood points for dining here. First of all, the sparkling water cost $15++ for a 750ml bottle, and the Perrier 330ml is $11++. This basically set the tone of the evening. 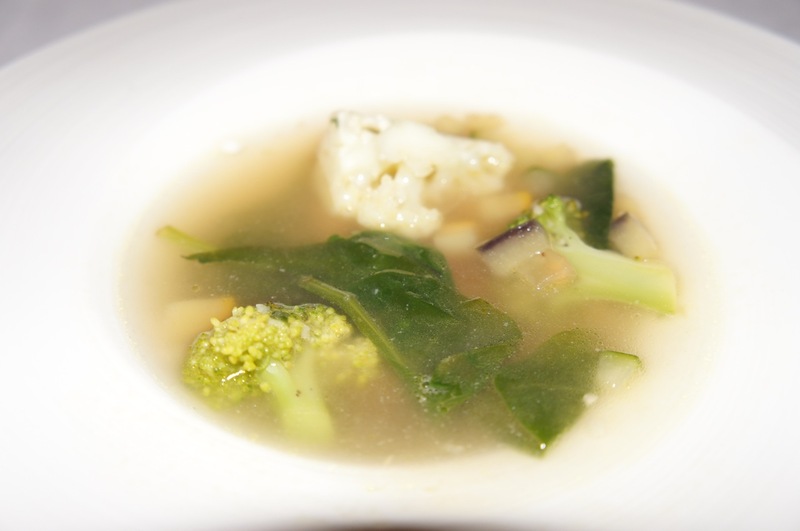 The minestrone was the only dish that I enjoyed for the evening. This is a non-tomato based minestrone that brought out the lightness of the vegetable, yet full bodied for a hearty minestrone. 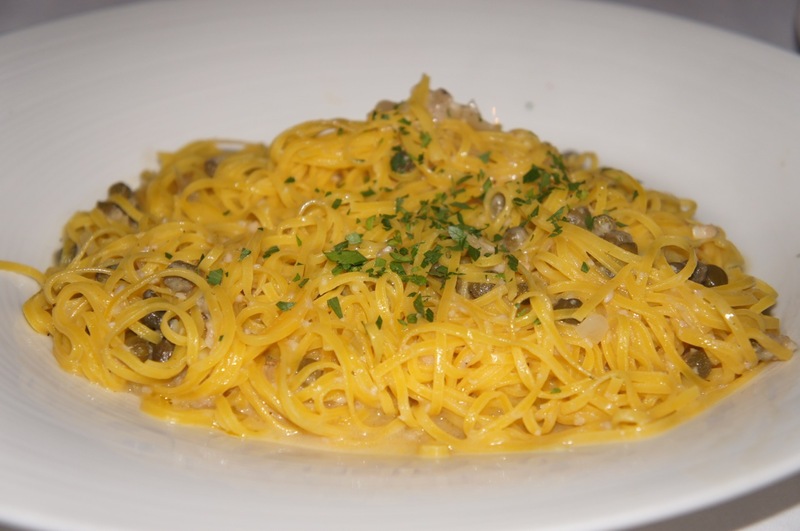 The Aglio Olio was really sloppy. The whole blob of spaghetti mixed with a watery sauce. I really did not appreciate this. This other seafood spaghetti was not fantastic either. You think Italian are really good at their spaghetti. Again you get disappointed with this spaghetti that was almost like a meepok soup. The chef came from South of Italy, but I find the presentation sloppy, the cooking sloppy, and overall tightness of the operation sloppy. Food: OK, 3/5. Service: OK, 3/5. Ambiance: OK, 3/5. Price: Expensive, prepare at least $100 pax for a full 4-course dinner.